Background: Ovarian reserve is affected by many factors and repeated ovulation is one of the factors thought to be responsible for the same. Clomiphene citrate (CC) is the most common drug used for ovulation induction in anovulation and also empirically for unexplained infertility. The study aimed to determine the ovarian reserve by day 3 follicle-stimulating hormone (FSH), anti-Mullerian hormone (AMH), and antral follicle count (AFC) in infertile women and also tried to determine ovarian response and any effect in ovarian reserve to increasing doses of CC. 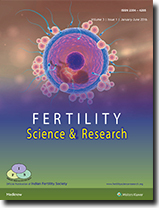 Materials and Methods: This prospective interventional study included 50 infertile women, who did not undergo ovulation induction for six or more cycles. Day 3 AFC, FSH, and AMH were determined in each cycle and treated with increasing doses of CC 50, 100, and 150 mg and monitored for follicular growth and ovulation by transvaginal scan (TVS) to know the ovarian response. Pregnancy rate and side-effects were monitored. Statistical Analysis: Correlation between the ovarian reserve tests was conducted with Pearson and Spearman correlation. Differences in parameters in three cycles were analyzed by repeated measures analysis of variance, statistical test (ANOVA). Ovarian reserve and response with increasing doses of CC were analyzed by logistic regression. 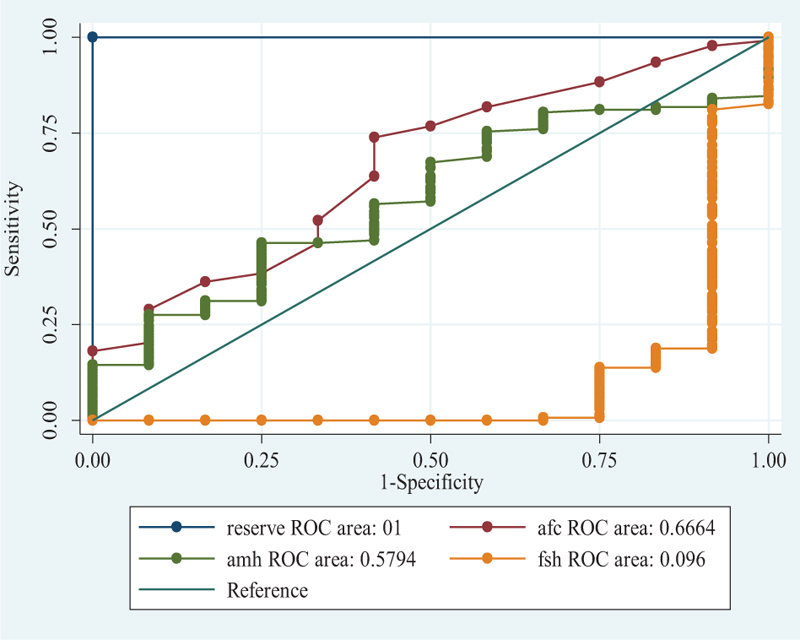 Results: AFC and FSH emerged as better tests to predict ovarian reserve. A significant negative correlation was noted between AFC and FSH (r = −0.366; P = 0.0001). Positive correlations were obtained between AFC vs AMH and FSH vs AMH. Ovarian response significantly increased with increasing doses of CC. 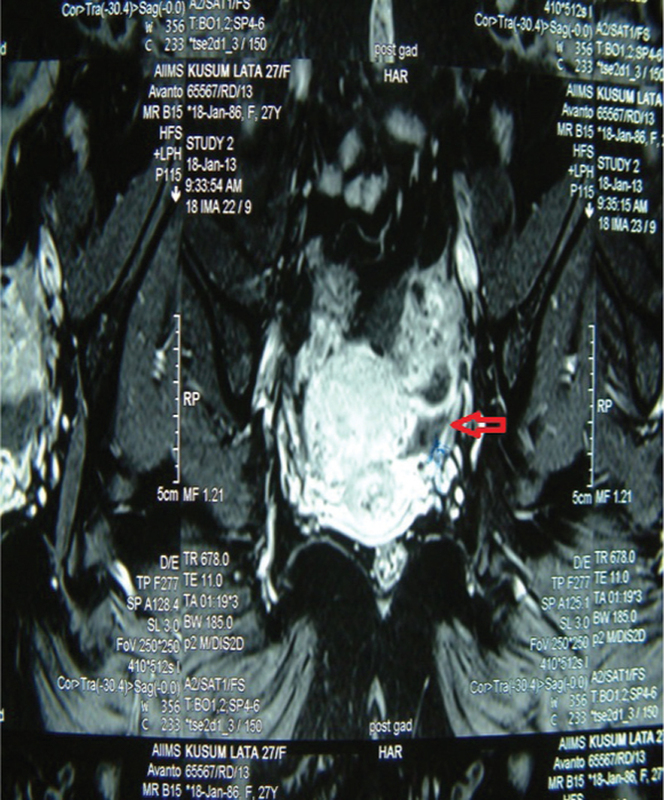 Ovarian reserve suffered a decrease with increasing doses of CC, but this did not reach significant levels. Conclusion: Although ovarian response increased with increasing doses of CC, there is a risk of decreased ovarian reserve with such therapy, and this finding should be confirmed by large sample size. Introduction: The Indian information technology (IT) industries have continued to be the largest private sector employer till today. The enrolment of women in higher education is about 40%, which signifies that more women are ready to pursue higher education. The job involves good pay packages, pick drops, incentives, personnel management appraisals, and better exposure but at the same time requires constant psychological balance and mental exercises. Thus, keeping these facts in mind, the present study intends to explore the nature of occupational impact on women’s health and to analyze the prevalence of infertility in Indian women working in IT sector. Materials and Methods: This is an observational study, based on a web consultation conducted in June 2016 with the women working in Infosys Ltd; 970 women took part in the chat, and questions were asked regarding the health problems faced by them. On the basis of these questions, an analysis was conducted to explore the health problems in women working in IT sector and prevalence of infertility among them. Results: Out of 970 women, 311 (32%) women were suffering from infertility, and majority (62%) of them were above the age of 30 years. Gynecological problems were also common in these women (28%); amid there, menstrual irregularity was being the most common one (82%). 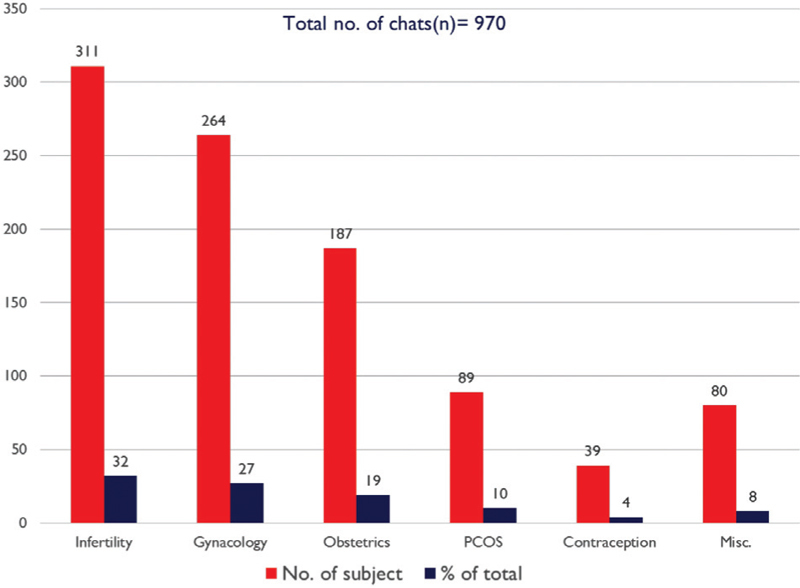 Besides this, polycystic ovarian syndrome was also found in 10% of the participants. Conclusion: It can be concluded that due to multiple factors, the infertility rates are high in women working in IT sector, and an attempt has to be made by timely counseling, avoiding drugs and alcohol abuse to minimize reproductive issues.